Postage included envelopes, printed with your business details. Minimum order only 1 box! Quick turnaround – just a few days. Post-paid envelopes, Freepost envelopes, Reply-paid envelopes. Talk to us about your requirements. 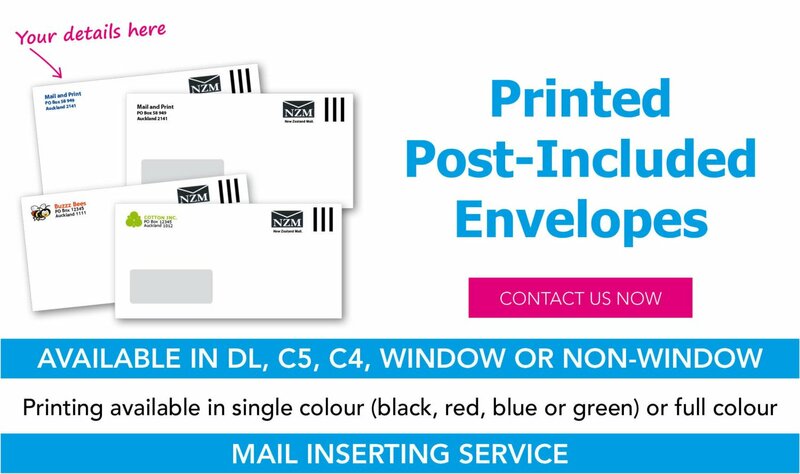 We can also mail-merge your addressees names on to the envelopes and either insert for you or send you the addressed envelopes ready for you to insert yourself. Research programmes and regular mailouts or just a one-off campaign. 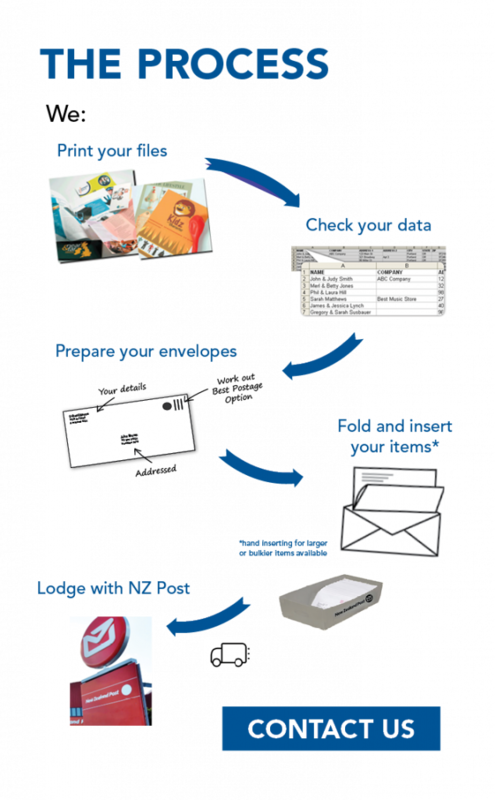 At Printing.com Ellerslie we have designers to get your envelopes looking smart. From a standard letter to a promotional piece, our team can handle it for you. Is your business getting the most from post? Bulk Mail pricing may be available for you. From as little as 300 items, you may qualify for postage discounts. Don’t pay more than you have to.